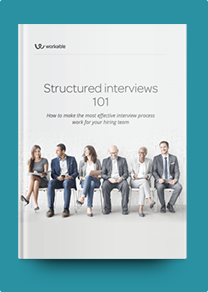 This Photo editor interview profile brings together a snapshot of what to look for in candidates with a balanced sample of suitable interview questions. Photo editors create photo content in print and web publications and manage teams of photographers, designers and content writers. They could work for websites, magazines or advertising agencies. As with any role, be clear about what you’re looking for in a photo editor before you invite candidates to interview. Depending on your needs, your ideal candidate might not require a lot of editing experience, for example, they may be a skilled photographer who’d like to expand their responsibilities. In this case, your interview questions should focus on their creativity and their ability to work as part of a team. If you have web-only content, ensure that your candidates are familiar with digital technology and social media. For the best results, tailor your questions carefully to the role and add some questions of your own. For editorial roles, as with any creative role, use portfolios of work samples to jump start your conversation. You’ll get the most out of interviews if you can see how candidates’ previous work is relevant to the kind of work you want to produce. Photo editors are also project managers. So it’s useful to get candidates talking about how they would produce a specific project, how they would delegate tasks and how thoroughly they understand your audience and business goals. What do you like to read / do / photograph in your free time? What image editing software have you used before? How would you sustain interest in repetitive tasks like editing and improving images or managing photo equipment? How do you adapt photo content for different audiences? How would you give feedback to your team members and motivate them to ensure deadlines are met? What would be your suggestions for upcoming projects for our publication? In what ways do you use social media to compliment your work? Describe this project in your portfolio. What was your role? How much time did you have to create it? What was your role within the team? How did you collaborate with other team members? What plan did you follow to ensure timely completion of the project? What were your guidelines and resources to start with?